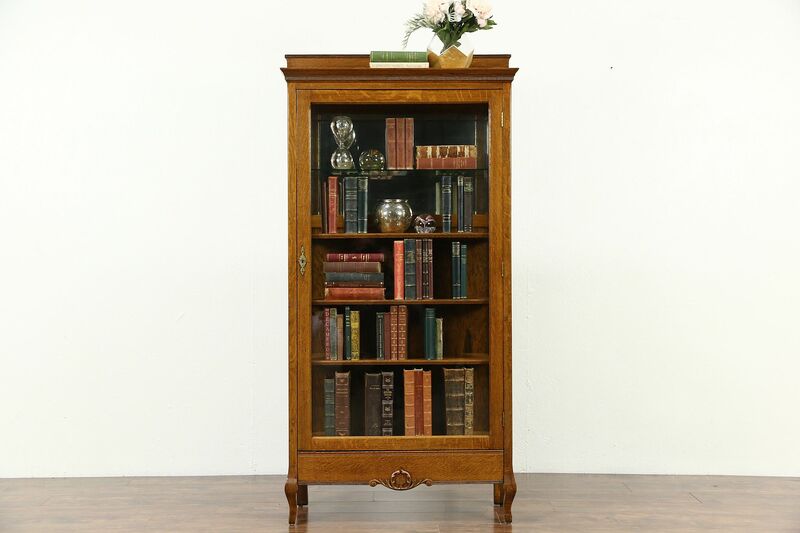 A solid quarter sawn oak china cabinet could function as a bookcase or bath cabinet as well. American made about 1900, the original glass panes are wavy, the interior mirror is beveled. There is a "secret" dovetailed drawer on the bottom. The door swings open easiest when the drawer is opened first. The restored finish is in excellent condition, the key and lock work. Size is 34" wide by 15" deep by 5' 9" tall and it will accommodate books up to 11 1/2" deep.